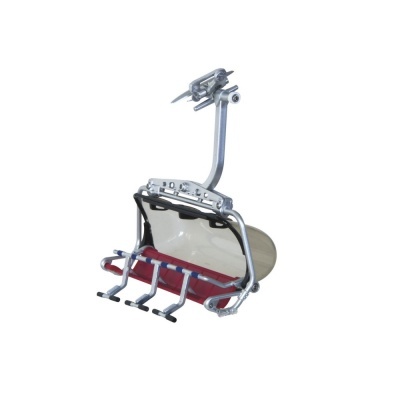 MyVillage™ Single Ski Lift Gondola Model Red/Grey manufactured by Jaegerndorfer provides an additional ski lift chair suitable as an add-on for the Winter Cablecar station set (JC84393) or (JC84494). 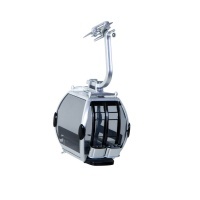 Ski Lift Gondola compliments the Jaegerndorfer cablecar model set in 1:32 scale. 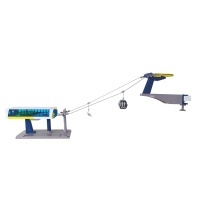 Supplied as a realistic car model themed in a Red & Grey modern design, to add realism to a Winter model scene. This 6 person gondola ski chair is easily connected to the ski station set (required) by clipping onto the main ski cable.